There are millions of reasons to get outside. Our society is based on hard-working individuals, working long hours, and excessive use of technology. This creates increased stress which affects our physical and mental health. Getting out into nature and disconnecting from our daily stressors even for a short while can improve your physical and mental health. Nature can improve our physical health in the following ways: Our bodies need Vitamin D which we can get from being in the sun. Being outside improves our immune systems and helps build a natural resistance to bacteria and infections. Some research has shown that being outdoors can improve your vision and reduce body inflammation. Mental health effects of being outdoors include decreased stress and mental clarity. Improved self-esteem has been reported. These are just a few of the benefits to getting back to nature and outside. Different studies have shown that taking time to disconnect from our busy lives and get outside leads to increased production and resilience when dealing with our day to day tasks. Being on the water has added benefits to being outside. Feeling the sun on your face and skin, the wind in your hair and the smell of the water can regenerate you. Being on the water engages all of your senses. Wallace Nichols, a marine biologist and author of the 2014 book Blue Mind, says “contact with water induces a meditative state that makes us happier, healthier, calmer, more reactive and more capable of awe.” He also stated “Water is considered the elixir and source of life. It covers more than 70% of the Earth’s surface, makes up nearly 70% of our bodies, and constitutes over 70% of our heart and brains. This deep biological connection has been shown to trigger an immediate response in our brains when we’re near water. In fact, the mere sight and sound of water can induce a flood of neurochemicals that promote wellness, increase blood flow to the brain and heart and induce relaxation. Thanks to science, we’re now able to connect the dots to the full range of emotional benefits being on, in, or near the water can bring.” It was also shown that individuals prefer nature with water versus just nature. So now that you are aware of the benefits of being in nature and on the water what should you do? Fishing on the water connects you to individuals who fish with you and can refuel your soul. Taking your spouse, kids, or friends creates positive memories and bonding moments. Whether fishing with someone or alone, it can be good for your soul. Being on the water, looking for fish, listening to the sounds of the water and wildlife. Even preparing to fish, getting your gear together, your rod, real, hook, bait/ lures puts you in a mindset of relaxation and anticipation for what’s to come. The act of fishing, casting, watching the bait land in the water, waiting for a nibble on your line… are all apart of the enjoyment and calming effects of fishing. Capt. 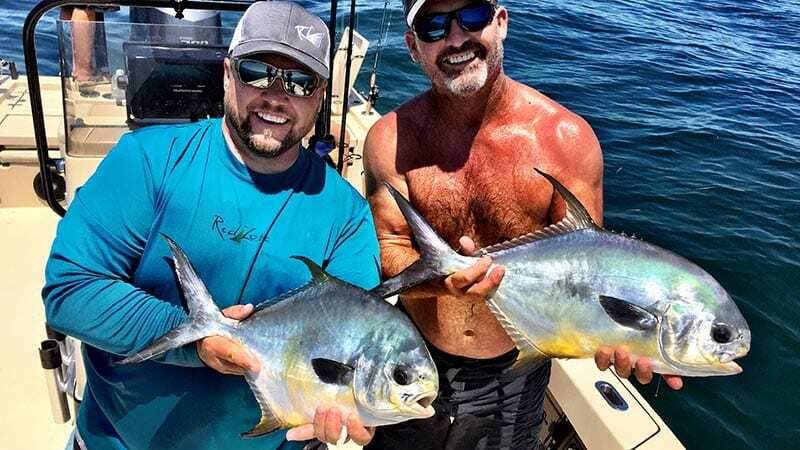 Jay has put his mark on some of the hottest fishing spots around. When it comes to putting his clients on the fish, Capt. Jay has the knowledge and tools to make it happen. Many of his clients are very experienced fishermen and charter him to catch trophy-sized fish. However, he has vast experience with novice anglers and will take time to teach them the techniques that make fishing more successful and exciting. The tips you will learn will enable you to be more successful for years to come. © 2019 Capt. Jay Withers. Web design by This site has been Forged.